The median value of a home in New Jersey fell from about $364,000 in 2008 to $311,360 in 2012, according to an NJ Spotlight report based on U.S. Census Bureau information. The 16.9 percent statewide drop is worse than what residents of Camden County experienced — a 14.9 percent fall from about $232,550 median value in 2008 to $197,900 in 2012. 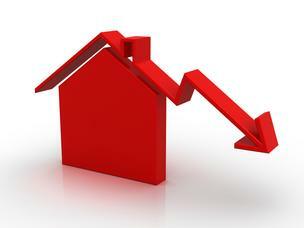 Median housing costs for homeowners with a mortgage in Camden County were $1,900 in 2012, down 2.2 percent from 2008. Statewide median housing costs were $2,342 — almost $1,000 more than the national average of $1,460, the report said. Median rental costs in Camden County were $959 in 2012, down 0.2 percent from 2008. Want an estimate of your home’s current value? Try Zillow. This entry was posted on September 24, 2013 by Barrington Bulletin in Business / Money, Region and tagged home value.